A joint venture was formed by and between AmCap and its new institutional partner to consummate the deal, with AmCap continuing to provide leasing and property management services and assuming overall asset management responsibilities. 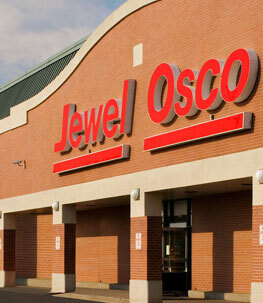 The roughly 864,000 square-foot portfolio is comprised of Copaco Center in Bloomfield, CT (Stop & Shop, Burlington Coat, and Lowe’s anchored), Cowesett Corners in Warwick, RI (Stop & Shop and Petco anchored), and Northpoint Center in Arlington Heights, IL (Jewel-Osco, Ross, Marshall’s, and Office Depot anchored). The new joint venture assumed the existing mortgage debts on Copaco and Cowesett, while a new market rate loan was obtained on Northpoint. AmCap, Inc. is a vertically integrated private equity real estate investment firm with offices in Stamford, Connecticut and Denver, Colorado. Founded in 1979, it focuses exclusively on grocery-anchored retail real estate in high-density U.S. metropolitan markets. AmCap has over $1 billion of gross assets under management with a nationwide footprint totaling approximately 5.0 million square feet.